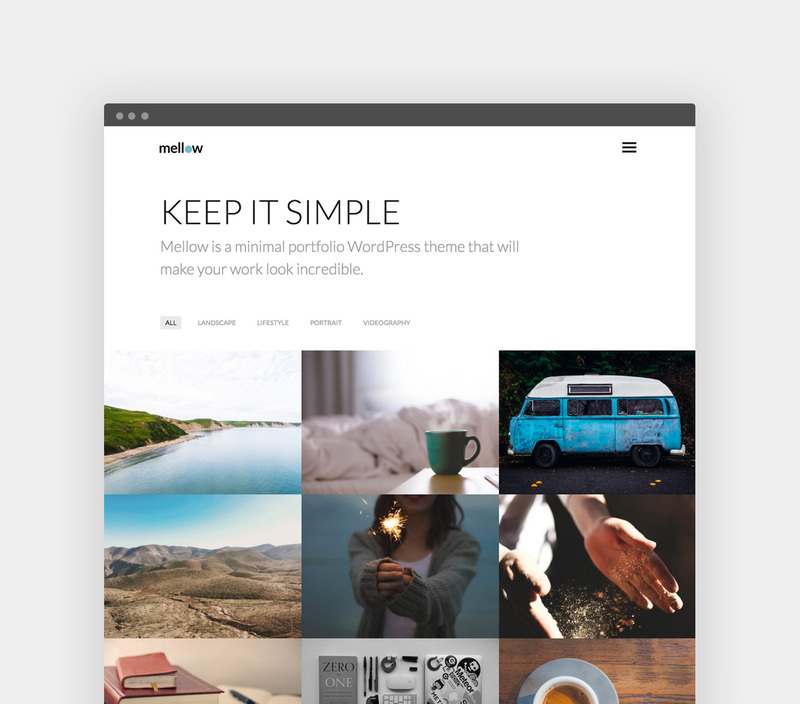 Mellow is a minimal portfolio WordPress theme that will make your work look incredible. Key features include masonry or grid portfolio layouts and a smooth hamburger style menu for which you can set a custom background. Start building your website with Mellow.